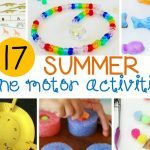 Learning about ocean animals is always fun, especially as it nears summer and we have the beach on our minds! 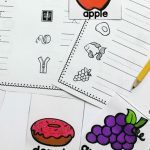 After learning animal names with our ocean animal vocabulary cards, we added in some more ocean themed fun to our reading time with these 13 ocean animal beginning sound clip cards! 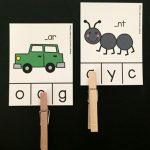 We love clip cards because not only are they fun, but they work on fine motor too by strengthening kids’ writing muscles while they open and shut the clothespins. 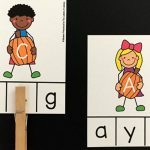 My kids use clip cards all the time, so they know exactly what to do. 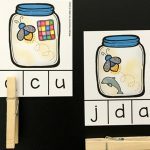 We have been pairing these with our ocean animal count and clip cards during math time, and they love to see the familiar ocean creatures! We first grab up a card and name the animal shown. These are drawn representations, but they are still able to easily identify the animals. 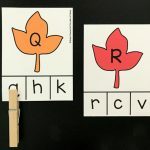 You can always go through the cards first and say the names together to be sure they know them before trying to identify the beginning sound. 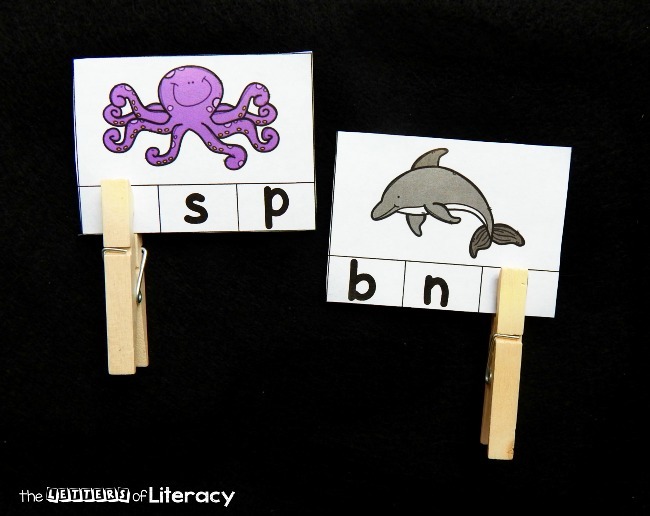 After we pick a card and say the name of the animal, we repeat it again, clearly stating the first sound we hear. 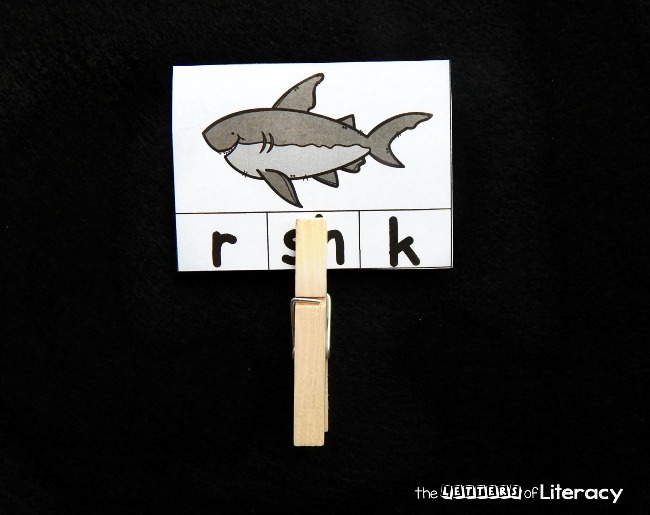 When we come to shark, we have to think carefully, because /sh/ is a digraph and represented by two letters! The same thing for /wh/ – whale. 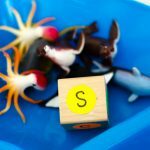 Ready to work on beginning sounds with ocean animals? 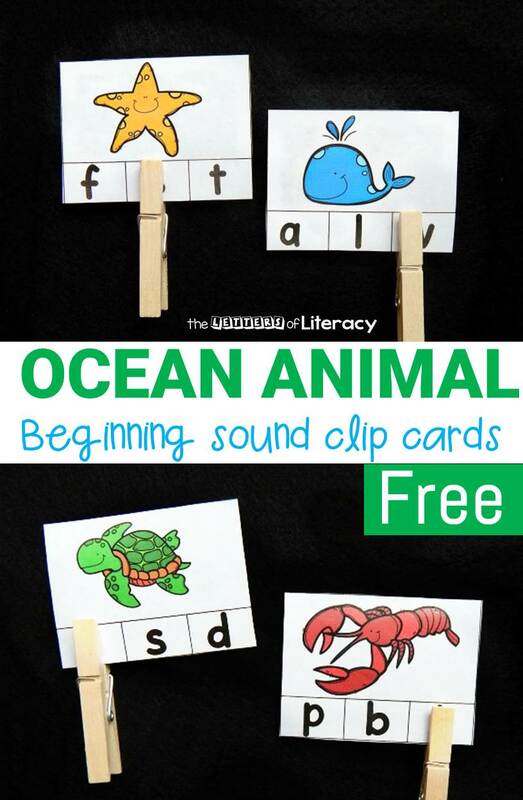 Grab your free copy of the ocean animal beginning sound clip cards by clicking the blue button below! 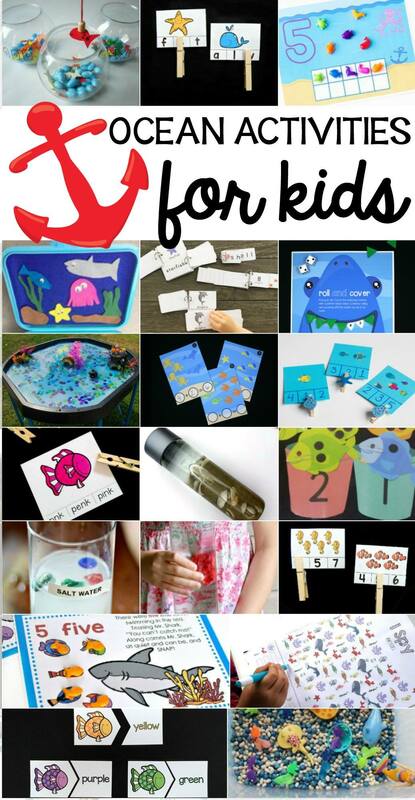 Then, scroll down for even more fun ocean themed ideas from some amazing kid bloggers! 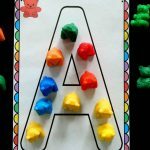 These look fantastic and so easy for little ones to use!